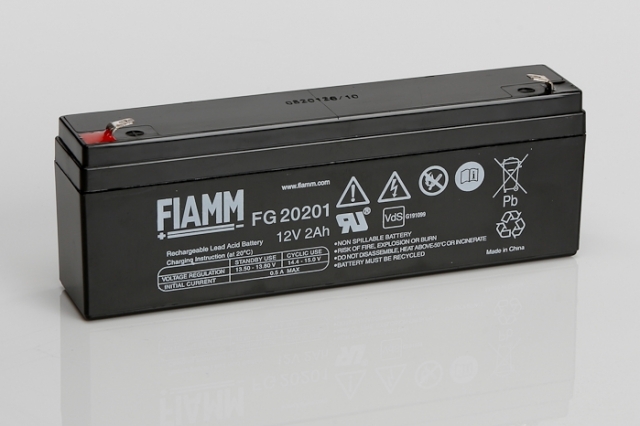 The FG20201 sealed lead acid battery from Fiamm is part of the FG range suitable for emergency lighting, security and fire alarms, UPS applications, toys, medical equipment, mobility products and a world of applications that require a reliable power source to operate. 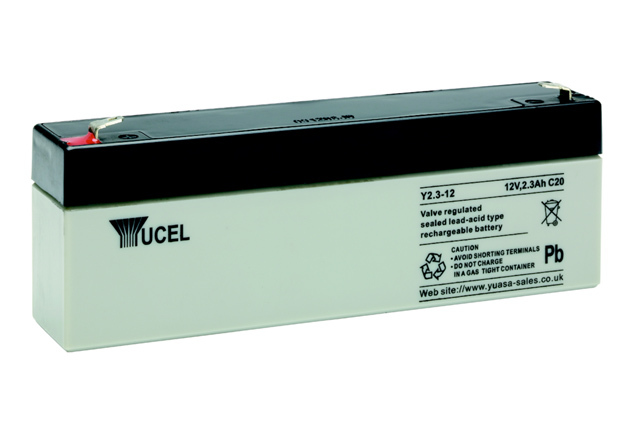 The technical features of this battery include a strong, rugged ABS case material, F1 (4.8mm wide) faston terminals providing a ‘one size fits all’ for faston connectors, high integrity post seals and one way safety valves. This rechargeable battery is non spillable and maintenance free, which enables a safe and simple installation with minimal ongoing attention required. For a proven and high quality lead acid battery solution the Fiamm FG range offers an excellent option at a competitive price. Should you require further assistance we are always on hand to provide help and advice where required. Blue Box Batteries are an approved UK battery distributor for Fiamm we are best placed to offer excellent advice and service. Temporarily out of stock, new stock expected soon. See Yuasa NP2.1-12 or Yuasa NP2.3-12 for alternative, links are shown below. Standard IEC 60896 Part 21, IEC 60896 Part 22, UL recognised. Grids Gravity cased grids with high purity lead calcium tin alloy. Separators Electrolyte fully absorbed in glass mat (AGM technology). Post Seals High integrity post seal design prevents acid leakage over a wide temperature range. One-way safer valves To allow excess gas to escape in the event of overcharging. 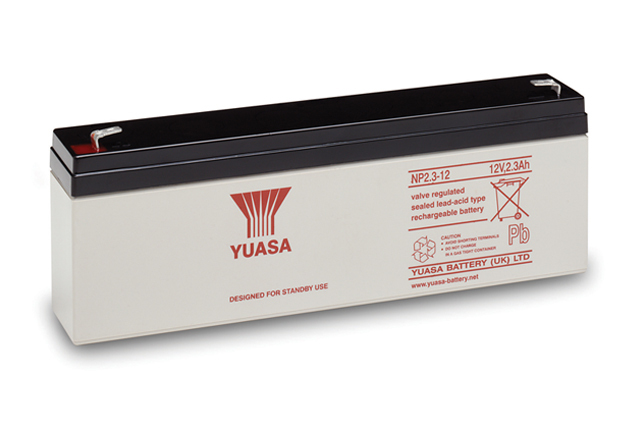 Enersys / Yuasa NP2.3-12, NP2.1-12, Powersonic PS-1221, PS-1220, CSB GP1222, B.B. 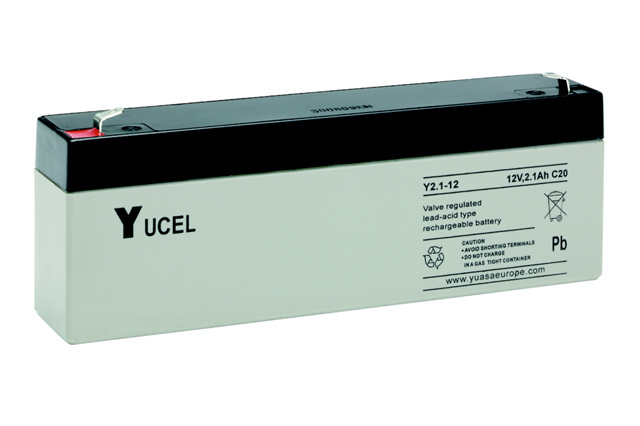 Battery BP2.3-12, Best Power BP-12 2, DiaMec DM12-2.2, Eagle Picher CF-12V2, Full River HGL2.0-12, HGL2.3-12, Haze HZS12-2.2, Panasonic LC-R122R2P, LCR12V2.2P, LCR122R2PU, Power Battery PM12-2.2, Sonnenschein A312/1.8S, Topin TP12-2.2, Vision CP1223, CP1223H. Will this battery arrive to me fully charged? 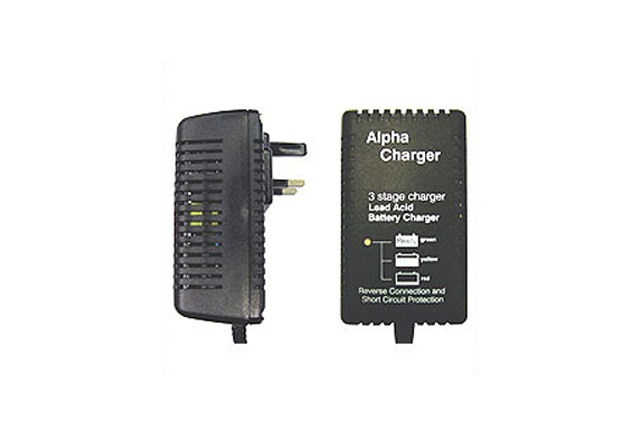 The battery will in 90-95% state of charge approximately, we recommend charging before use if possible. Can this product be operated on its side? Yes, this is a sealed product and can be operated on its side.